I recently read two great books about jazz that paint vivid pictures of important and fascinating times and places in the history of the music. A.B. 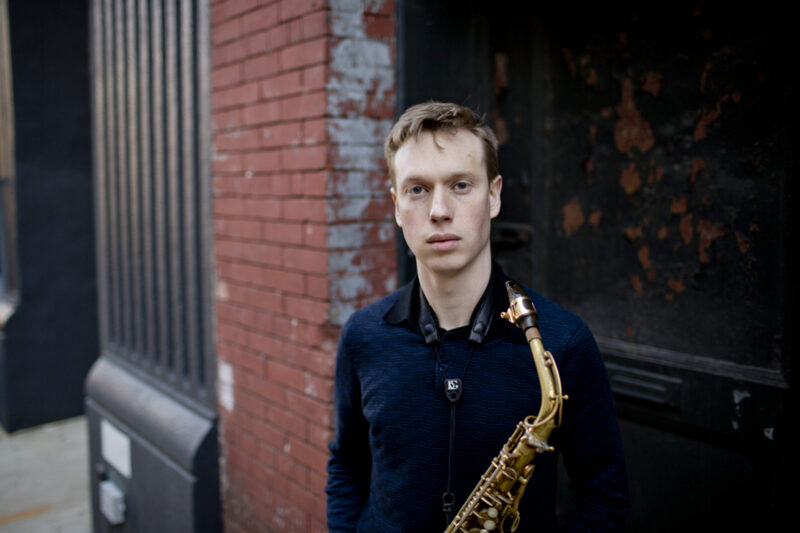 Spellman’s Four Lives in the Bebop Business is divided into four sections, each one portraying a key figure in the 1960s jazz avant garde: Cecil Taylor, Ornette Coleman, Herbie Nichols and Jackie McLean. Each section acts as a mini biography, featuring interviews with the musicians in question and with family members and musical associates. The interviews were conducted in New York City in the mid 1960s, a time when jazz was starting to be hit economically by the popularity of rock ‘n’ roll and pop music, and when the scene was still dealing with the impact of Ornette and his followers’ new and innovative music. 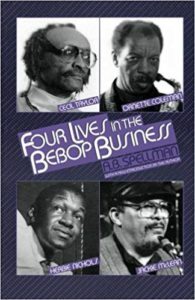 The book gives an interesting snapshot of what life was like as a jazz musician at that time, and how things have changed. I was struck, as jazz musician in 2018, how a couple of the profiles described how barren things had been for the artist in question, save for the odd four or six week-long run at a particular club. I have no doubt that those guys had things infinitely tougher than I do in a multitude of ways, but most jazz musicians I know nowadays could only dream of even a week-long engagement in a single jazz club! The section on Jackie McLean was of particular interest to me, with its tales of his encounters, as a fawning youngster, with Bird, and of McLean’s time as a teenager in Sugar Hill, Harlem, where he attended the same high school as Sonny Rollins. The area was an incredible hot house of jazz during the 1930s, ‘40s, 50s and beyond: Duke Ellington, Lionel Hampton, Billy Strayhorn and plenty of others lived in the area at various times, and the book describes how McLean and Rollins would go round to Bud Powell’s apartment to learn from the great pianist: Bud was around a six years than the two saxophonists and also a Harlem resident. 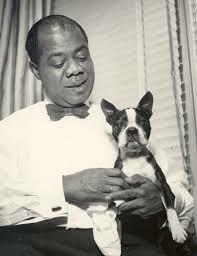 Louis Armstrong would eventually come to live in New York too, and he is considered to be a figure in the ‘Harlem Renaissance’, but his book Satchmo: My Life In New Orleans deals with an earlier period in a place that was just as important in the development of jazz. Armstrong dropped out of school aged 11, and the conditions he describes are fairly shocking: Jim Crow laws were in operation and he was surrounded by poverty, prostitution and violence. But his writing style is distinctive and likeable, and he exudes nothing but warmth and generosity whilst describing the larger-than-life characters who inhabited his youth. New Orleans was of course central to the birth of jazz as ragtime fused with marching band music and other varied musical forms in the early 20th Century, and other key figures from the city around this time included Sidney Bechet, Buddy Bolden and Jelly Roll Morton. The book is filled with wonderful anecdotes and takes the reader up to 1922, when Armstrong moved to Chicago to join the band led by his idol, Joe ‘King’ Oliver. As an aside, for more of an insight into Pops’ life and work, the Louis Armstrong House Museum in Queens, New York (where he settled with his wife Lucille in 1943) is extremely worth a visit! And here’s an interview with A.B. Spellman, author of Four Lives.